As promised, here are the recordings of the BBC World Service’s thirty minute broadcast to the British Antarctic Survey. The broadcast started at 21:30 UTC on June 21, 2014 and was broadcast on 5,875, 5,985, 7,350 and 9,890 kHz. Click here to download Dominik’s recording as an MP3. Post reader Rob Wagner (VK3BVW), in Australia, could receive the broadcast on three frequencies (5,875, 5,985, and 7,350). He’s included clips of each broadcast on his excellent blog, The Mount Evelyn DX Report. This is (very) rough copy; for five or so minutes, you’ll hear me switching between AM/USB and LSB to find the best mode for the signal. I also check the other BBC frequencies to see if any were more audible. 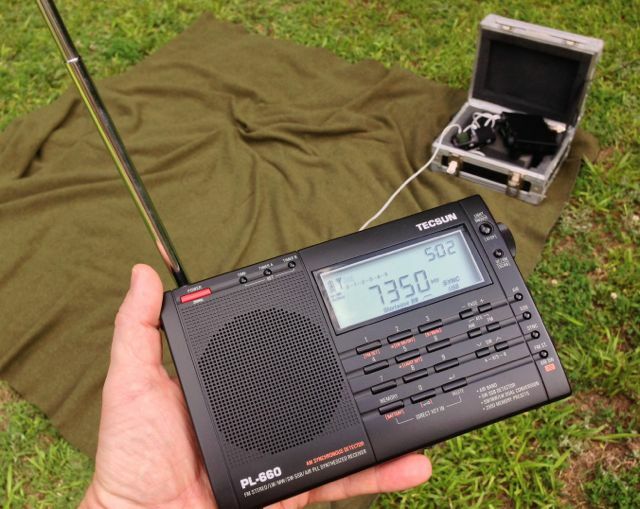 For fun, I had also brought along the Tecsun PL-660–a choice portable radio for weak signal DX. I tuned to 7,350 and could just hear the BBC signal in the noise, but voice and music were unintelligible. What did I get out of the experience? Good copy? Alas, no. But there’s nothing like the fun of playing radio outdoors! Even though the copy was rough, propagation deplorable, and static crashes abundant, I thoroughly enjoyed the experience. 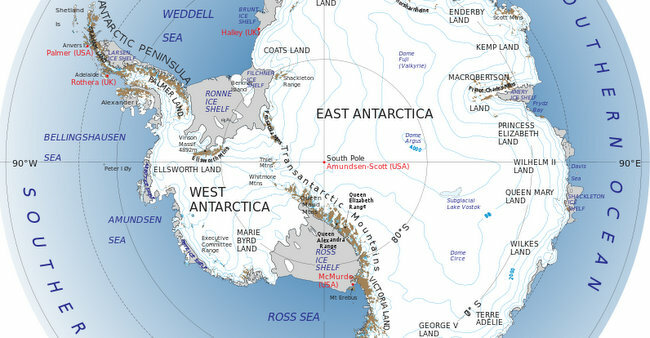 Moreover, I was amused to note that while I listened (and sweated) outside in the very hot, muggy conditions of the American southeast, a few scientists huddled near the extremely chilly southern pole at that exact moment, were tuning in the exact same broadcast. It somehow made the heat bearable. That’s the remarkable camaraderie of radio: truly, a wireless community. This entry was posted in Broadcasters, International Broadcasting, News, Radio History, Recordings, Shortwave Radio, Travel, What's On Shortwave and tagged Antarctica, BBC World Service, BBC WS, British Antarctic Survey Team, CommRadio CR-1, NASA PA-30, NASA PA-30 Antenna, Tecsun PL-660 on June 22, 2014 by Thomas.